Microsoft continues to be a leader in Gartner's Cloud IaaS MQ - For the fifth consecutive year, Microsoft is recognized as a leader in Gartner's IaaS Magic Quadrent. Check out this post for the details and a link to not only this report, but a long list of other Gartner MQs that place Microsoft in the leader's quadrant. Create enterprise subscription experience in Azure portal public preview - Learn about the public preview of a fully-integrated create subscription experience in the Azure portal for Azure Enterprise Agreement (EA) subscriptions. Previously, EA subscriptions were created in a separate EA portal. 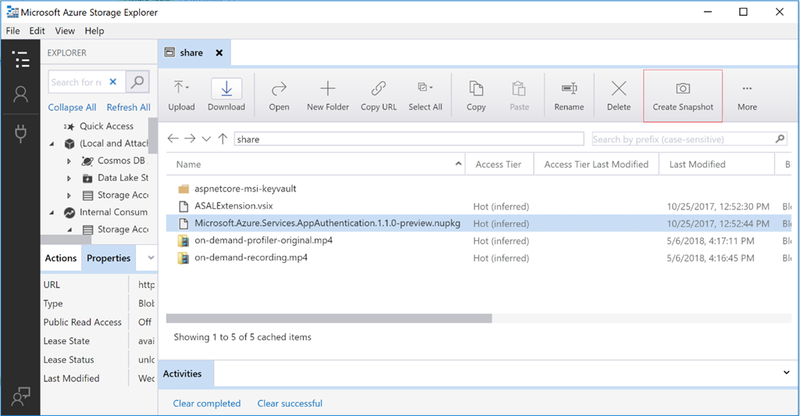 Azure AD Authentication for Azure Storage now in public preview - This post announces the preview of Azure AD Authentication for Azure Blobs and Queues, which is one of the features most requested by enterprise customers looking to simplify how they control access to their data as part of their security or compliance needs. It is available in all public regions of Azure. New capabilities to enable robust GDPR compliance - If you haven't checked your inbox lately, May 25th marked the beginning of enforcement of the EU General Data Protection Regulation (GDPR). To help you support compliance, new offerings include the general availability of the Azure GDPR Data Subject Request (DSR) portal, Azure Policy, Compliance Manager for GDPR, Data Log Export, and the Azure Security and Compliance Blueprint for GDPR. This post includes links to multiple resouces to learn more about what's available, including a link to an on-demand webcast from Microsoft President, Brad Smith. An update on the integration of Avere Systems into the Azure family - Get an update on Microsoft's acquisition of Avere Systems, which closed earlier this year. This post also includes answers to some of the most common questions we've heard from customers. Avere brought an innovative combination of file system and caching technologies to support the performance requirements for customers who run large-scale compute workloads, whether it’s building animations and special effects for the next blockbuster movie or discovering new treatments for life-threatening diseases. Changes coming to PowerShell (preview) in Azure Cloud Shell - Thanks to the general availability of PowerShell Core 6 earlier this year, the PowerShell experience in Cloud Shell is switching to a Linux container running PowerShell Core 6. This experience will replace the Windows-based PowerShell experience. Check out this post for all of the details. New updates for Microsoft Azure Storage Explorer - Storage Explorer is a great tool for managing contents of your Azure storage account with a client-side tool from Windows, macOS, and Linux. 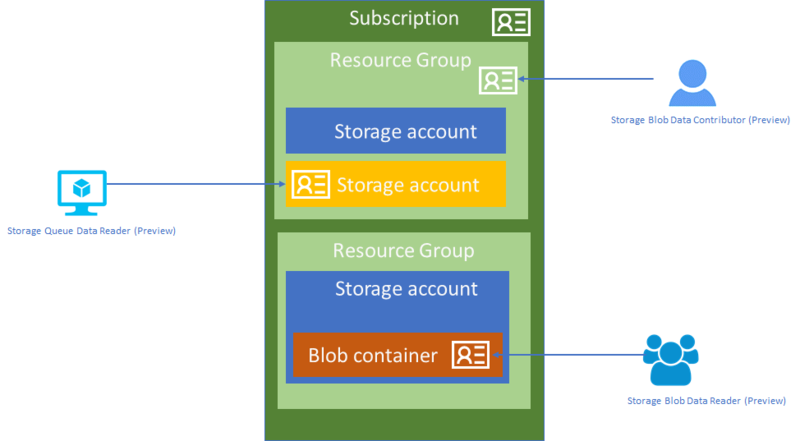 After the recent general availability for Storage Explorer, we also added new features in the latest 1.1 release to align with Azure Storage platform and accessibility support. Read this to learn what else is new with this update to the tool. Load confidently with SQL Data Warehouse PolyBase Rejected Row Location - In Azure SQL Data Warehouse, the Create External Table definition has been extended to include a Rejected_Row_Location parameter to let you know which rows failed to load and why. PolyBase is a technology that accesses data outside of the database via T-SQL. PolyBase creates a directory on the External Data Source at the Rejected_Row_Location if one doesn’t exist. Azure Friday | Episode 435 - How I choose which services to use in Azure - Azure MVP Barry Luijbregts chats with Scott Hanselman about how he goes about choosing the right services in Azure to run his applications and store his data. Azure IoT Reference Architecture update - Earlier this month, we released an update to the Azure IoT Reference Architecture Guide, which provides proven production-ready architecture, with proven technology implementation choices, and links to Solution Accelerator reference architecture implementations. This post provides an overview of the changes made, and of course includes a link to the latest version of the guide: https://aka.ms/iotrefarchitecture. Blue-Green deployments using Azure Traffic Manager - One key customer use case for Traffic Manager is to make their software deployments smoother with minimal impact to their users by implementing a Blue-Green deployment process using Traffic Manager’s weighted round-robin routing method. Blue-Green deployment is a software rollout method that can reduce the impact of interruptions caused due to issues in the new version being deployed. This blog shows you how to implement Blue-Green deployment using Traffic Manager. Control Azure Data Lake costs using Log Analytics to create service alerts - In this post, you will learn how to use Log Analytics with your Data Lake accounts to create alerts that can notify you of Data Lake activity events and when certain usage thresholds are reached. Serverless real-time notifications in Azure using Azure #CosmosDB - In this post, you wil learn about a sample solution that creates a complete serverless scenario for a chat application that stores data in Azure Cosmos DB, Azure Functions for hosting & event processing, and Azure SignalR for websocket client messaging. Devs imagine, create, and code the future at Microsoft Build - Check out some of the key takeaways we heard from this year’s attendees. Explore Build 2018 content with playlists - If you couldn’t attend Microsoft Build 2018, now is your opportunity to do so online with Microsoft Build Live 2018. Learn about the cloud, AI, IoT, and much more using playlists to guide you select content. This post covers eight of the available playlists. M-Series certified for SAP HANA and available worldwide - We recently announced SAP HANA certification for M-series VMs, enabling you to run production SAP HANA workloads with a pay-as-you-go, per second VM billing. M-series VMs are now generally available in four more regions: Australia East, Australia Southeast, Japan East, Japan West. This adds to availability in US East 2, US West 2, West Europe, UK South, Southeast Asia and US Gov Virginia. Twelve additional regions are slated to roll out M-series VMs later this year. Accelerate your SAP on Azure HANA project with SUSE Microsoft Solution Templates - Following the launch of M-SERIES/SAP HANA certified Virtual Machines (VMs) on Azure, we are happy to announce a new marketplace offering in partnership with SUSE. The offering leverages Azure Resource Manager Templates to automate the rapid provisioning of an SAP HANA infrastructure in Azure with SUSE technology. This post covers the templates available. Do more with Chef and Microsoft Azure - Last week at ChefConf, the Chef and Azure teams announced the inclusion of Chef InSpec, directly in Azure Cloud Shell, as well as the new Chef Developer Hub in Azure Docs. Earlier this month at Microsoft Build, Chef announced new integrations for Habitat, with our fully-managed container registry and Kubernetes services, Azure Container Registry (ACR) and Azure Kubernetes Services (AKS). Accelerate data warehouse modernization with Informatica Intelligent Cloud Services for Azure - Last week at Informatica World, Microsoft and Informatica announced the availability of Informatica Intelligent Cloud Services (IICS) for Azure. Microsoft has partnered with Informatica, a leader in Enterprise Data Management, to help our customers accelerate data warehouse modernization. This service is available as a free preview on Azure today. Informatica provides a discovery-driven approach to data warehouse migration, which simplifies the process of identifying and moving data into Azure SQL Data Warehouse. Transact capabilities for SaaS apps now available in Azure Marketplace - Azure Marketplace has long-offered SaaS apps for discovery and trial. At Build, we announced that SaaS apps can now be transacted within Azure Marketplace. ISVs building and selling SaaS applications built for Azure can now not only list or offer trials, but also monetize their SaaS applications directly with customers. New container images in Azure Marketplace - At Build, we announced a new category of offer in Azure Marketplace - container images. Azure customers can now discover and acquire secure and certified container images in Azure marketplace to build a container-based solution. All images available in Azure marketplace are certified and validated against container runtimes in Azure like managed Azure Kubernetes Service (AKS). We partnered with Bitnami and Couchbase as our initial launch partners, but you can also onboard to Azure Marketplace as a publisher. Build 2018 Playlist: Learn to build cloud-native apps - When you build a new application, you want to focus on the things that matter: your logic, your added value. You don't want to focus on load balancers, operating systems and virtual networks. When you create a new application with Microsoft Azure, it handles the plumbing for you. "Born in the cloud" apps can take advantage of everything that Azure has to offer. Make your logic "serverless" and only pay for it when it runs. Distribute your data all over the world with a click of a button to make your app performant for all users. Build 2018 Playlist: Add intelligence to apps using ML and AI - There is tremendous value in your data, that you can use to enhance your applications and your business. Access the value in the data by ingesting it, arranging it and analyzing it. Microsoft offers powerful tools for preparing and analyzing data, regardless of where that data lives. Use the tools to create your own machine learning algorithms and expose the resulting models to apps. You can even enhance offline mobile apps by consuming AI as a service with Azure Cognitive Services. Build 2018 Playlist: Deploy and manage apps at scale - No matter what applications you are building, you need to be able to deploy them fast and without errors to get new features to your users. To do that efficiently, you need to automate as much as you can. Microsoft Azure has incredible tools and guidance that enable you to implement Continuous Integration (CI) and Continuous Delivery (CD) for all application types with minimum effort. Auto-Away Assist for NEST Thermostat - Let Nest know when you are in another room to assist Auto-Away using motion sensors, Particle.io, and Azure! Azure IoT Workbench - The IoT Workbench extension makes it easy to code, build, deploy and debug your IoT project in Visual Studio Code, with a rich set of functionalities. Azure IoT and Serverless Button Sample - This sample will walk you through building an IoT application to post a tweet to Twitter. Azure Maps intro for developers - Azure Maps is now publicly available. Previously known as Azure Location Based Services during its preview period, the service not only got a new name but also lots of great new features. Ricky Brundritt, PM in the Azure Maps team, walks Olivier through what's new and interesting for developers in using Azure Maps to build IoT applications with geospatial services APIs that integrate seamlessly with other Azure tools and services. IoT White Boarded for the Top Floor - What is the Internet of Things and what is Microsoft doing about it? These are high level questions we have not addressed thoroughly yet on the IoT Show. Tom Davis, PM lead in the IoT Business Acceleration team, joins us for a whiteboard session to literally draw us the big picture.